While the sole proprietorship remains a popular business form for many entrepreneurs, professionals such as doctors, lawyers and accountants often choose to form either a professional limited liability company (PLLC) or a professional corporation (PC). Both forms offer the professional the protection of limited liability against the acts and malpractice of employees and colleagues in the business, making one or the other essential to a practice involving employees or other professionals. A PC is a corporation organized under the laws of the state in which the professionals involved in it are licensed to practice. Unlike traditional corporations, however, the shareholders in a PC must be licensed members of the profession in which the entity is organized to do business; as such, a doctor's unlicensed husband cannot own shares in his wife's medical practice, and many states prohibit members of different professions from owning shares of the same PC. PCs also feature a more streamlined form of corporate organization, allowing the professionals greater direct control over corporate operations. The PLLC is not a corporation, but rather a special business entity created by state law that is not available to all professionals in every state. Like LLCs in general, where authorized by law, a PLLC is easier to set up than a corporation and offers more relaxed operational requirements. The owners are called members and enjoy the same limited liability from the torts of others offered by the PC. As with PCs, state law may restrict the types of professionals that can form a PLLC, and not all states have an equivalent. As such, a firm seeking to practice in multiple states should ensure that the targeted states recognize PLLCs as a legitimate business entity. PCs and PLLCs share so many features that they can become difficult to distinguish. One area in which they differ concerns taxation. A PLLC offers its members the benefits of pass-through taxation, where profits flow directly onto the member's individual return. A PC offers the same pass-through benefits if it files as an S corporation, but it pays tax at the maximum corporate rate, 35 percent as of 2010. Notwithstanding the maximum rate, a PC enjoys the benefit of certain deductions that may not be available to the PLLC, such as deductions for group life, health and accident insurance. Neither the PC nor PLLC can shield an individual member from his own torts inside or outside the course of business. Debtor-creditor law allows a creditor to attach a debtor's assets, including shares of a corporation. With a PC, the creditor may exercise many of the rights of the shareholder-debtor, which can lead to economic devastation for the practice. With a PLLC, however, the creditor is limited to attaching the member-debtor's profits and does not gain control over assets or voting rights. The PLLC can continue to operate and pay the creditor the member-debtor's profits pursuant to a charging order, although "charging order protection" is not always available to a single-member PLLC. Practice Startup Success: LLC vs. PC. Dedon on Estate Planning: LLCs and Charging Orders. Website 101: Professional Corporation and Professional Limited Liability Company Basics. Asset Protection Consulting Group: Charging Order Protection. Lawyers.com: Professional Corporations and Associations. When forming a new business, particularly if professional in nature, you should understand the difference between Limited Liability Companies and Professional Limited Liability Companies. An LLC is a business entity that is formed under state law. 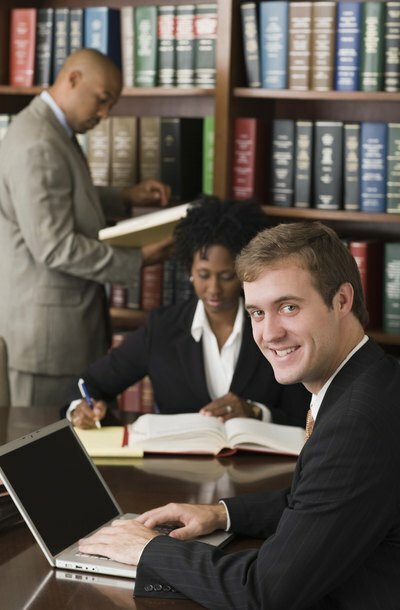 Some states allow for the formation of specialized LLCs, such as a the PLLC. Each state has different restrictions on each business type, and LLCs and PLLCs are not business entities that are available in every state.